I started my day on Tuesday with a slew of paperwork, meetings, phone calls, and project bids to work on. Plus, I launched our new website, which has been months in the making, and had to fix our email after I broke it during the transfer from Wordpress to SquareSpace. On top of the chaos brought on by too many tasks, we had another cold, wet, nasty day in good ol’ Central Illinois. My list of things to do has been growing like a weed and staying on top of every little detail is exhausting. When you run a small business and have a crew of only about 5 people, the daily grind can be incredibly heavy. There is always another call that needs to be made, another customer who needs assistance, another employee who has a question, another social media post that needs published — so managing tasks is an unending chore. While I enjoy what I do, I normally slide into the end of my day on fumes and am fairly useless by 3 or 4 pm. I’m an early bird, so I have peak productivity before I go to lunch at 11. Yesterday was no different and while I did get the site live and the email fixed as well as handle a vendor issue, move a couple of projects along, and get to some phone calls, 3 pm rolled around and I was mentally done for the day. So what’s a boss lady to do? Check Instagram, of course and plan for the next post. But wait! What is this I see? My friends down at Sous Chef had made homemade heart-shaped sugar cookies with icing decoration on top. I can never resist a good sugar cookie. I grabbed my bag, sent my manager an email that I would “be right back,” and marched out the door. Jumping in my dark purple SUV that I affectionately call, “Lorenzo,” I made my way two blocks south and into Sous Chef for some of those cookies. While I was there, I got to see my videographer and friend, talk about new business ideas, meet some of the Sous Chef family, and ultimately, clear my mind. I packed up a half dozen cookies for myself and my staff and made my way in the cold back to work. My staff enjoyed the afternoon treats and we devoured them in a couple of bites while we all took a little break from the grind. I looked at the clock to see that it was 4 pm and much to my surprise, a new blog post was churning in my mind along with some of the business ideas my friend and I talked about. By the time I left the building at 5, I was disappointed to not have finished what I had on my mind, but alas, I was off to a dinner and it would have to wait until I was done. Let’s get back to the cookies though. The “hustle” code would say I should have just put my head down and got as much done as possible, but what that fails to address is burnout and quality of work. Our minds are not made to be robots and they need stimulation for producing high-quality output. We were not created to stare at computer screens all day and we need reprieve from being chained to our devices. 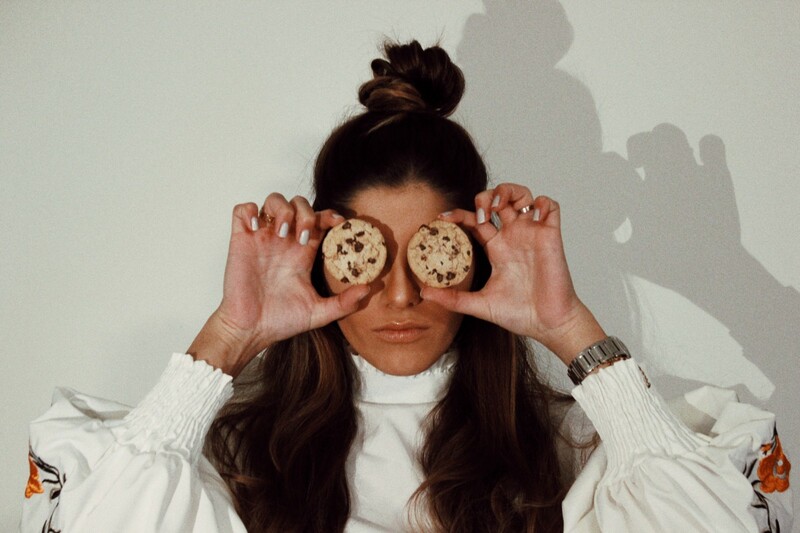 For me, answering the cookie call was more than a desire for sugar — it was a break from what I was doing and a change of scenery to stretch, engage, and reset. I was able to interact with people in my community, move around physically, and satisfy the need for a treat. It was also a good excuse to bring my staff back a small reward. I am mindful of how blessed I am with the team I’ve built and strive to care for and reward them as much as possible along the way. Did those cookies get my stack of work done or drop a couple of social media posts for me? No, but they gave me space to breathe and get back to meaningful production even after I felt burnt out. There is no quick cure for time management. How could there be? We never know what our days are going to bring and for most of us, we do the best we can as we edit our processes along the way. Yesterday, my process included a cookie run and today it might be dancing to Proud Mary as we wrap up work for the day. Whatever you do in life whether you are like me, running a small business, or you manage a household or run a fortune 500 company — do it with excellence, but allow yourself the occasional cookie run. Life is short. Grab those sweet opportunities when you can.